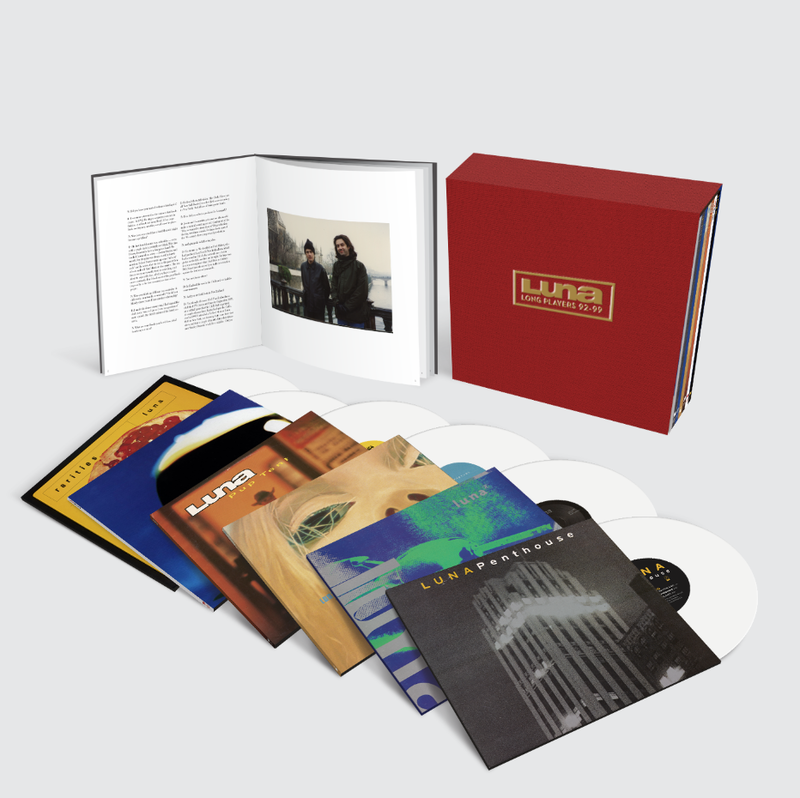 The long awaited vinyl box-set containing Luna's first five LPs plus a bonus LP of rarities, is now available to pre-order. Brooklyn label Captured Tracks have announced that because of "overwhelming demand" they are opening up pre-orders for the box set now ahead of its release in February or March. The LPs will be pressed in 150g white vinyl and is limited to 2000 copies worldwide - the full track listing for the box can be found here. The five studio albums will be released on black vinyl spearately later. Due to overwhelming demand, we have decided to open up EARLY pre-orders for the Luna Long Players Box Set. Typically, we wait until we have more concrete arrival dates for a collection such as this, but some of you seem to be a bit worried that you won't have an opportunity to own this, which we understand. With that being said, this Box Set's target date to arrive is Feb/March. It will ship as soon as it arrives in our warehouse. This is an early pre-order and, if you have reservations, we ask you to hold off. We will be updating all pre-order customers bi-weekly (or every two weeks) on progress. People who pre-order will be sent messages with photos and more. International customers, this Box Set is HEAVY. We recommend finding an international courier service for reduced shipping rates.